We can provide lawn care as part of a garden maintenance programme – but Advantage also offers dedicated lawn/grass services. Whether postage stamp size or acres of parkland, football pitch or bowling green – we can keep that grass in tip top condition for any homeowner, business or sports club. As well as mowing and edging, we can weed and feed, scarify or hollow tine aerate any expanse of grass. 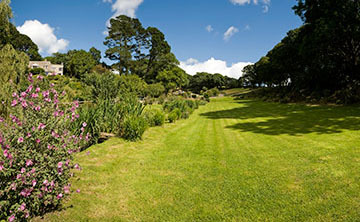 We can re-seed bare areas and offer advice on the best type of lawn to choose depending on whether it’s an area to be admired from afar, or one that needs to stand-up to the rough treatment of a weekly sports fixture... and anything else in between. 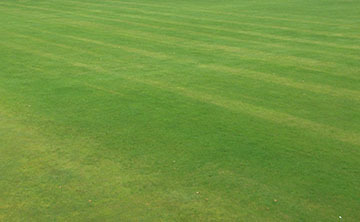 We can also carry out end-of-season renovations to any pitch or sports ground. Another service Advantage offers is core extraction and agronomist reports - if you need to know about your soil types and what sort of grasses make up your current lawn or field’s structure. So don’t be miffed with the moss or worried by the weeds – and let your neighbours be as green as the grass they see on your side of the fence!